Ideal for any Sporting Event, Holiday Gathering, or Special Occassion. Everyone loves the gift of food! 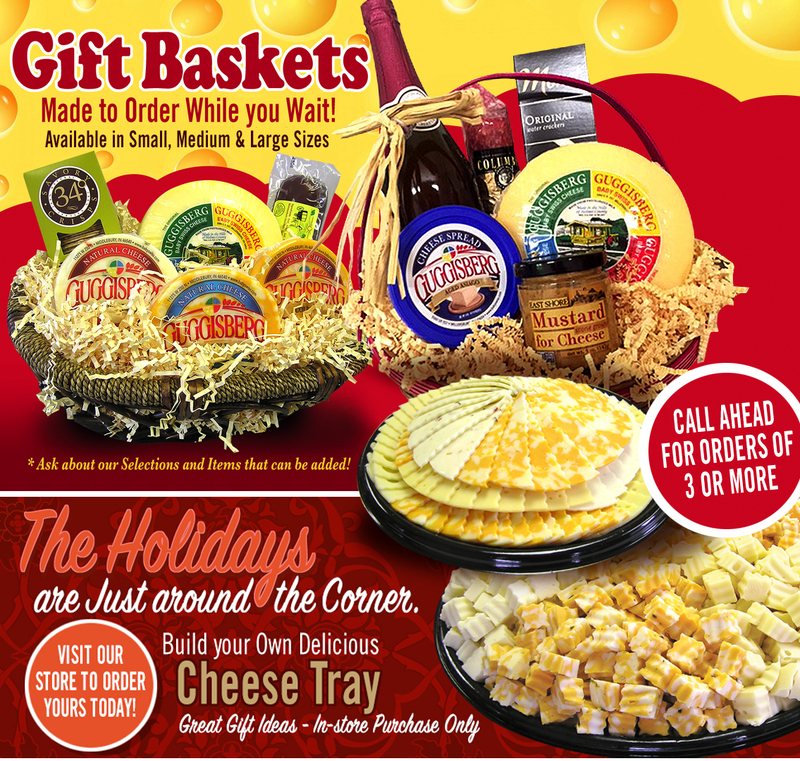 Guggisberg Gift Baskets and Meat & Cheese Trays are the perfect addition to any party and feature the best we have to offer for every occassion. Available for in-store purchase only and customized to fit your tastes and event. For any questions or to order ahead, give us a call at 330-893-2500.